Proyecto Español is a language school, specialized in Spanish for foreigners, with academies in Alicante, Barcelona, Granada and Madrid. Our goal is to combine teaching the Spanish language and culture with fulfilling holiday expectations at favourable prices. 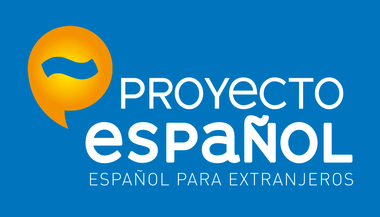 PROYECTO ESPAÑOL offers a combination of a quality-proved program with courses on a didactically and methodically high standard, high qualified and motivated teachers, and very competitive prices. The high pedagogical level is confirmed by the different public accreditations and recognitions. Both schools are "Centro acreditado del Instituto Cervantes" and accepted by CSN to receive students with Swedish state funded loans and grants to study abroad. All courses with 30 hours per week, in Alicante and Granada, are recognized as "Bildungsurlaub". Besides we’ve just signed collaboration with the University Miguel Hernández de Elche (Alicante). Our installations are located in the centre of the cities. We organise all over the year Spanish-Courses for individuals and groups, adults and teens. ¡Para aprender Español el mejor sitio! Me llamo Klaske y soy de Holanda, desde febrero estoy estudiando español con Proyecto Español y me paso muy bien aquí. Los profesores son muy amables y el ambiente de la escuela siempre está bien.